I have been fortunate enough to enjoy some holiday time at the coast in the Eastern Cape. 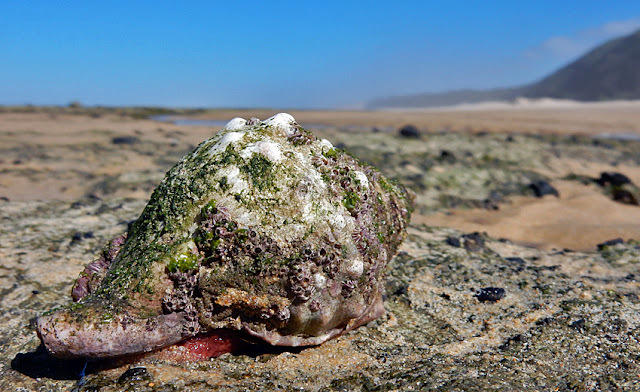 One of the things I wanted to make time for on my trip was to visit the rock pools during low tide. My exploration started off with a bang! 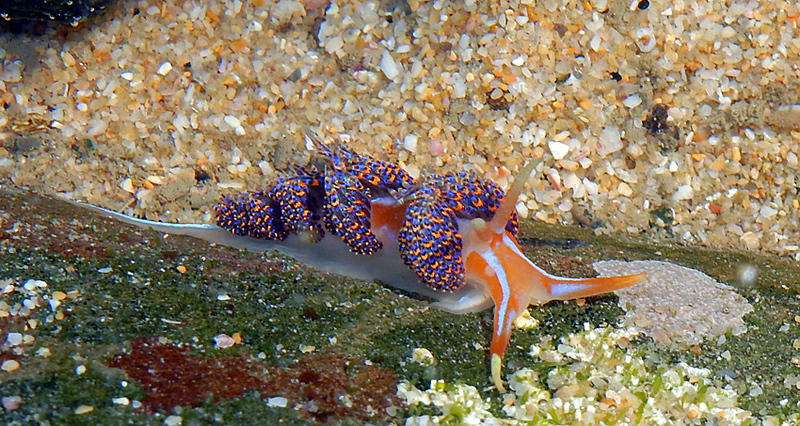 One of the very first creatures I saw was this amazing Four-Tone Nudibranch. 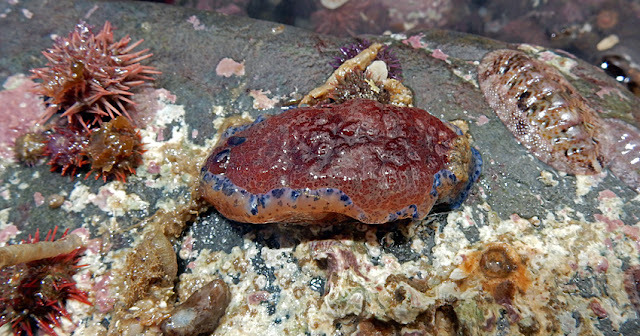 From what I understand the nudibranch is basically a kind of predatory sea slug-like animal. It feeds on sea anemones and other nudibranch-like animals. 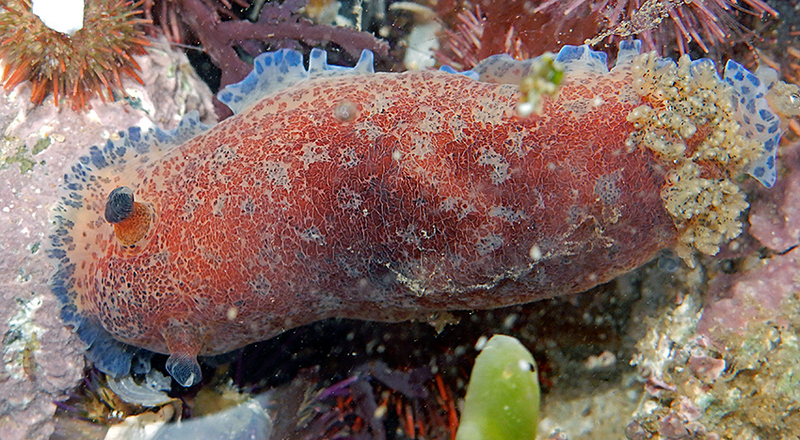 This encounter inspired me to try and return to the rocks at low tide on subsequent days in search of more interesting sea slug-like-things. I turned over many rocks in search of interesting creatures. At first I didn't notice the Blue-Speckled Dorid under the rock, but when I dropped it back into the water it magically transformed. 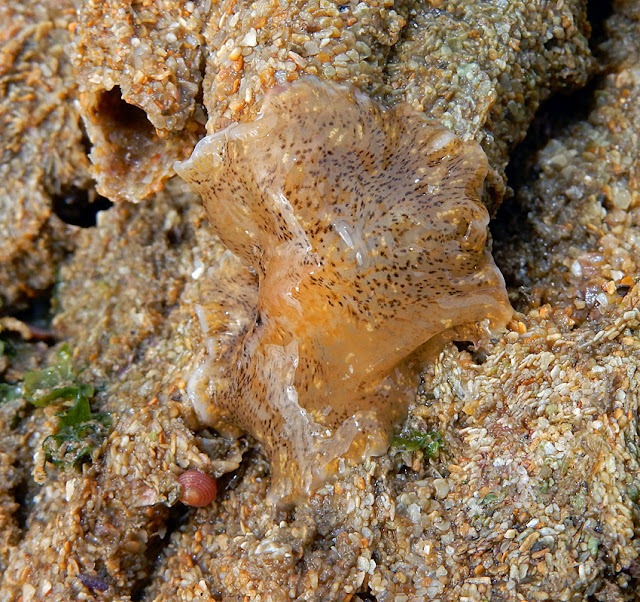 The little dorid feeds on sponges. I believe the fluffy bits at the rear of the animal is are the external gills. 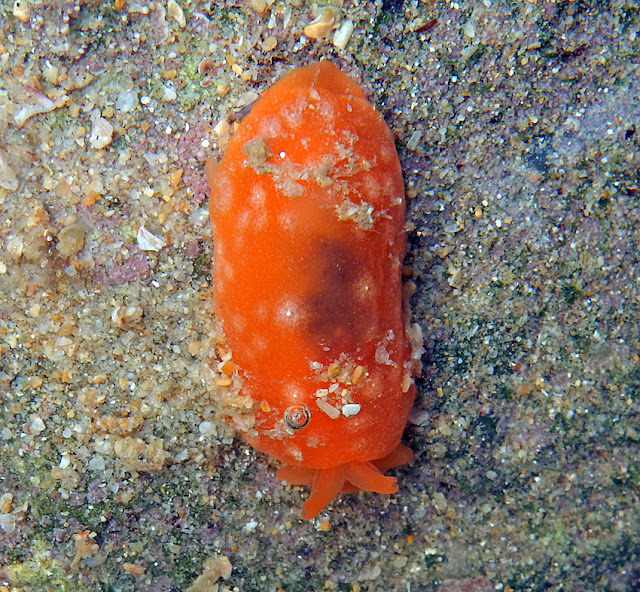 Another, even smaller, sponge feeder is the Lemon Pleurobranch. The animal below might seem artificially similar to the sea slug-like animals above, but this beautiful little critter below is actually a tipe of Flatworm. I was fortunate enough to be able to view one of these flatworms under a field microscope on a recent visit to De Hoop and my breath was taken away by just how beautiful they are. The Gilchrist's Flatworm feeds on tiny animals found in the tidal pools, such as worms and crustaceans. 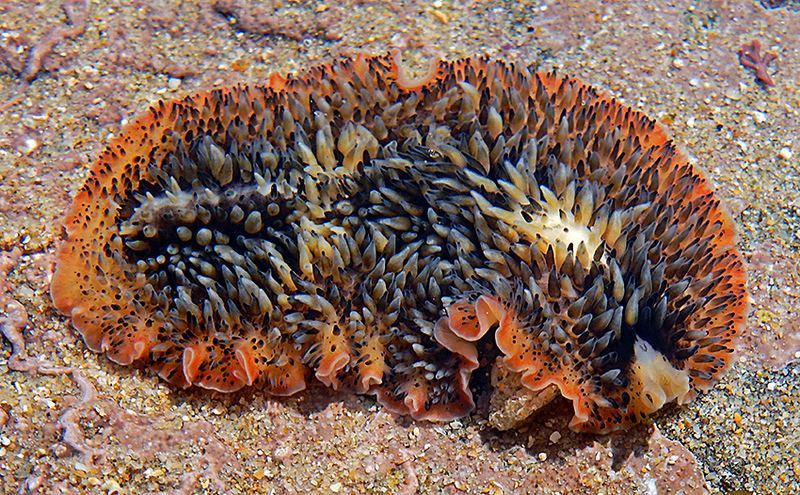 My attempt at filming a flatworm swimming failed, but trust me that it is something to behold. Luckily there is always next time. I'm already looking forward to visit the rock pools again and again, in the years to come. 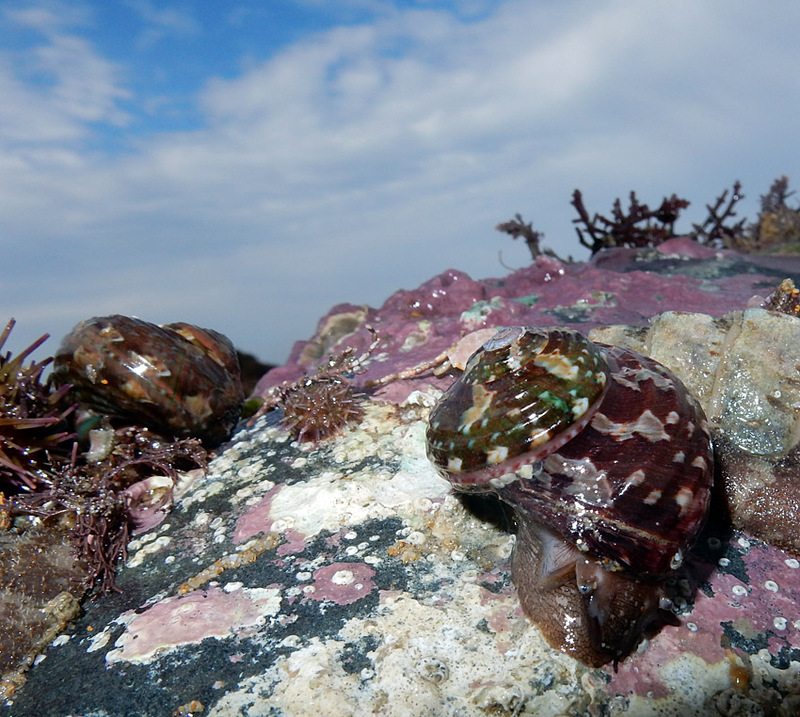 There is still plenty more to share from the Cannon Rocks coastline, even some camera trapping, so stay tuned.